Find my regular writing on Mindful Healthy Life, the lifestyle magazine for natural-minded parents in Metro DC where I blog regularly, covering local news and wellness topics relevant to natural-minded parents. Update January 2019: Mindful Healthy Life is in the process of switching servers and hosts so may be down for periods of time until technical issues are resolved. 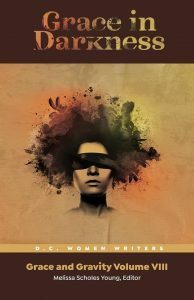 A short story adapted from my novel-in-progress, The Unspeakable Passing of Clouds, appears in Grace in Darkness: D.C. Metro Women Writers, vol. VIII, which launched on May 7, 2018 at American University. I will be reading at the May 23 Grace in Darkness panel at One More Page Books & More in Arlington. Another short story adapted from the same novel-in-progress appeared in the 2016 collection Abundant Grace: D.C. Metro Women Writers, vol. VII from Paycock Press. 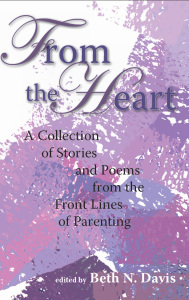 An essay about my first child’s birth appears in the 2016 anthology Birth Writes: A Collection of Real-Life Birth Stories. For links to television appearances and other events where I have spoken, see the Appearances page. 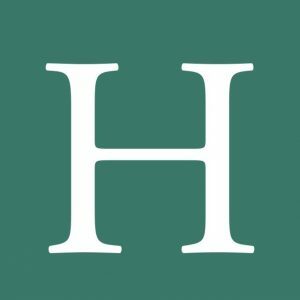 My essay “Yes, I Want My White Kids Challenged to Question Their Privilege” was published on the Huffington Post on September 9, 2016. 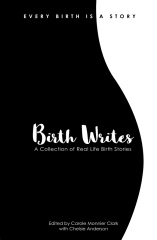 I published “Director of Birth Story on Mothering While Filmmaking,” an interview with director Sara Lamm, on Octotber 3, 2013 on Mothering.com. I blog regularly at Mindful Healthy Life, the lifestyle magazine for natural-minded parents in Metro DC where I cover local news and wellness topics relevant to natural-minded parents. I also blogged at TheDCMoms.com. 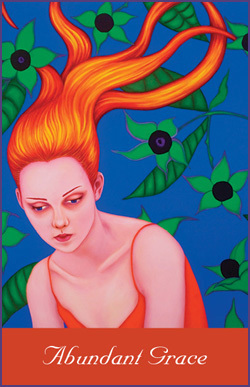 “Remembering the Uncle My Children Will Never Know,” Scary Mommy, November 22, 2014. 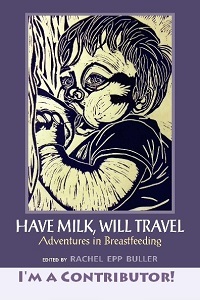 “(Into and) Out of the Mouths of Babes” and “From Here to There,” Have Milk, Will Travel: Adventures in Breastfeeding, Demeter Press, 2013.